BRYAN EATON/Staff photo. 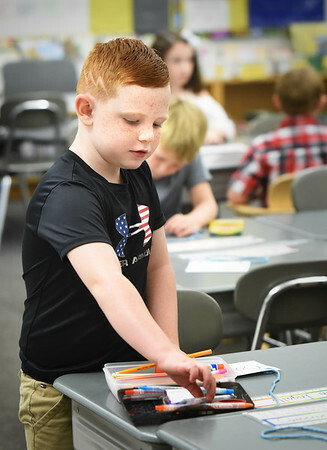 Second-grader Collin Ingalls, 7, organizes his pencil box in Deborah Dennehy's room as he waits for class to start. He was at Salisbury Elementary School on Tuesday morning where classes started as well as the rest of the Triton School District and the Pentucket School District.